soundimageplus: Panasonic G3 announced and reviewed. 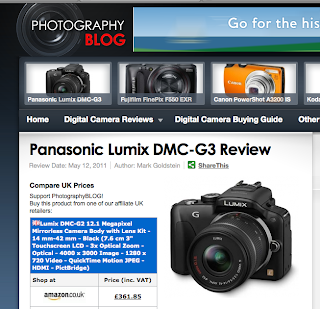 Panasonic G3 announced and reviewed. 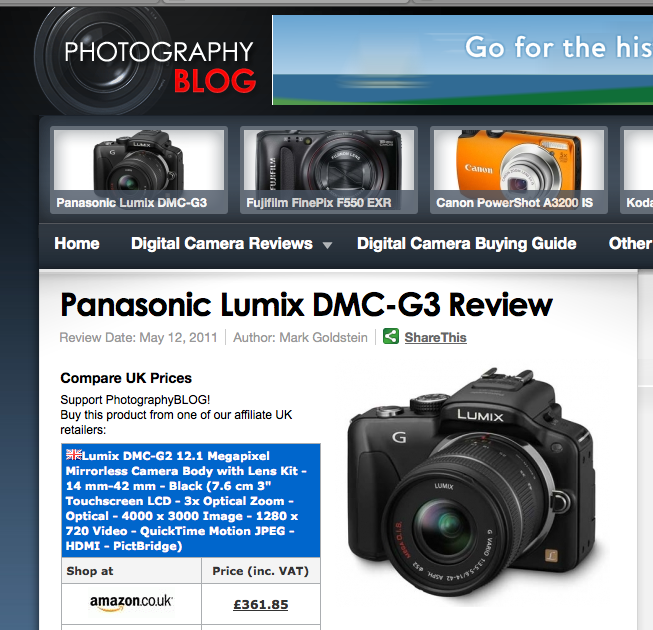 Panasonic G3 announced and reviewed at Photography Blog. New body, smaller, lighter and cheaper. More touch screen. I had a brief look at the raw files, in Raw Photo Processor which was the only software I have that will open them and they look very similar to GH2 results.